"Love" token, awarded by CKoerner_WMF. Problem: When looking at [[mw:Special:Preferences]], or [[Special:Preferences]], or etc, it is impossible to know what options/values are "Default/Recommended". 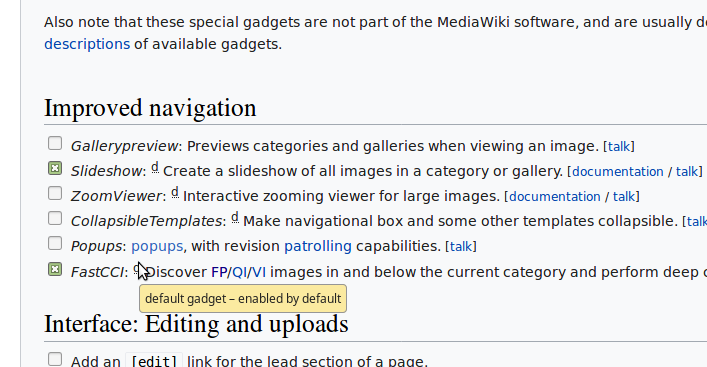 We should add information to the interface, that automatically updates at each wiki based on the config files, showing what the defaults are. So that it doesn't require manually updating the documentation at all the wikis, when something changes. Design: I've attached an edited screenshot (very rough idea), of what I have in mind. Example: If someone changes the "default" value for "wmgThumbsizeIndex" in InitialiseSettings.php - that should update what it says in Special:Preferences. 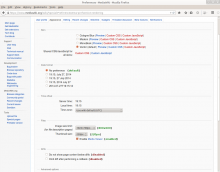 We have (often unmaintained) documentation pages, that rapidly go out-of-date. eg. [[m:Help:Preferences]] and [[mw:Help:Preferences]] and etc. This proposed feature would partially solve that. If I customize a setting, eg. changing thumbnail-size default from 180->200, and then the site's default gets changed (as it did from 180->220), then my customized setting won't get changed (good!) but I won't be likely to ever find out (bad!). There's the "Restore all default settings" button-of-doom which wipes out all our customizations, and it's currently unclear to users what exactly will get changed. 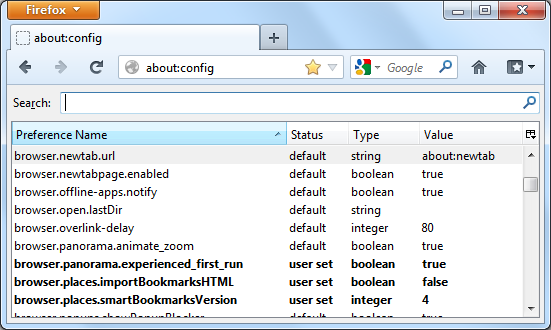 Firefox handles this well, in about:config, by automatically indicating which preferences have been changed by the user - http://kb.mozillazine.org/images/Fx14aboutconfig.png - if we could add that somehow, bonus. bzimport set Reference to bz68689. 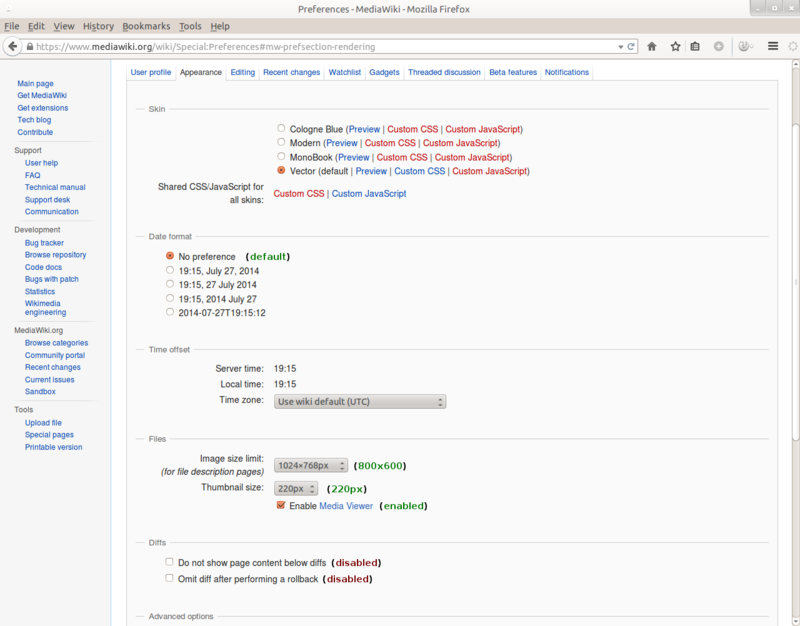 Is this something that should be considered for MediaWiki-extensions-GlobalPreferences as well? Quiddity removed a subscriber: • wikibugs-l-list. CKoerner_WMF added a subscriber: CKoerner_WMF.